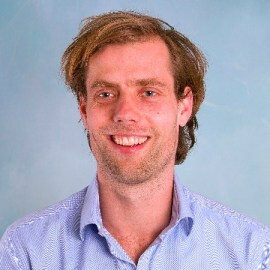 Laurens Coeveld is Senior Business Advisor at Oxfam Novib. In this role he has two responsibilities. Firstly, he is leading the SME Development Programme currently running in Nigeria, Somalia, Uganda, Vietnam and Egypt. Secondly, he is lead for the Internet Now project in Northern Uganda, in which Oxfam has setup the internet-based company SINFA. Laurens holds a board position at SINFA. Within the SME development programme, existing impact-driven companies are provided with business support and access-to-finance. The latter is provided through partnerships with impact investors, such as Triple I, a small investment entity that is partially owned by Oxfam Novib. Before Oxfam Novib, Laurens worked as strategy consultant for Accenture. He holds a Master of Science in Industrial Design Engineering, Delft University of Technology, Netherlands.